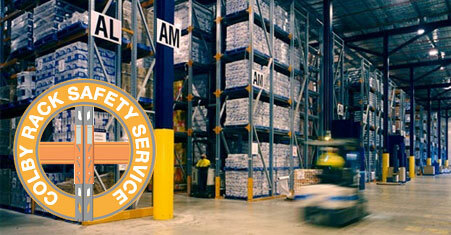 Pallet racking in Australia is covered under the Australian Standard AS 4084:2012 Steel Storage Racking. This standard deals not only with design but also covers racking installation and operation. When buying pallet racking, it is essential that you make sure the rack system is not only designed to the standard, but is installed to the standard and is operated in accordance with the standard. 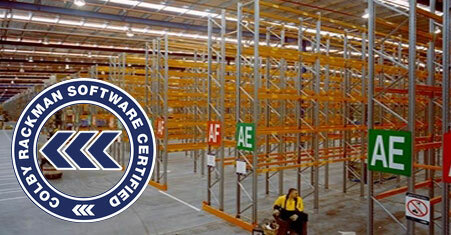 To comply with Australian Standard AS 4084:2012 Steel Storage Racking, all pallet racking is required to be inspected frequently, and at least every 12 months, and appropriate certified safe working load signage (SWL) attached. • GREEN – Acceptable damage. Colby Dandenong offers regular rack safety inspections by qualified professionals, regardless of brand, and will make recommendations for any damage repairs or replacements, helping you ensure compliance and safety for your employees. Call Colby Dandenong on 1300 265 291 for more information or to book a racking inspection or fill out submit an online form (top left of page). At Colby Dandenong we treat safety as a top priority. Not only do we manufacture the highest quality racking in Australia, we back it with Rackman Certification. Rackman is a proprietary software tool designed by some of the world’s leading structural engineers. Rackman Certification means that your racking system will meet the necessary safety standards. It will give you peace of mind knowing that your stock and staff are secure in your ColbyRACK installation.